The restored 17th-century Smock Alley Theatre wedding venue is actually a multi-tiered theatre which was once a boys’ school. The venue which sits on the banks of the Liffey features a banquet hall with spectacular stained glass windows and incredible acoustics for music. 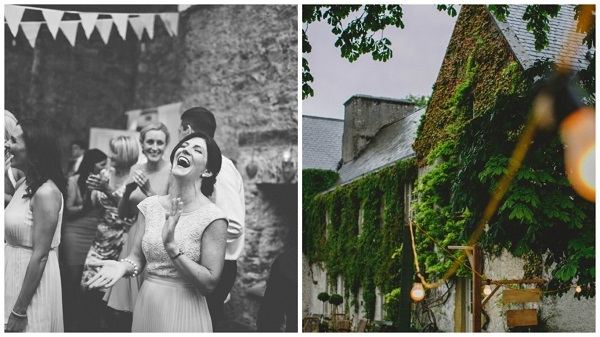 The cobblestones of Cow’s Lane provide quite the backdrop for wedding photos. Afterwards dine on a candlelit banquet – think fresh fish, local cheeses and decadent desserts paired with excellent wines. Smock Alley Theatre do three wedding packages, all include a choice of one or two appetisers and desserts, banqueting tables with tablecloths and napkins, chivari chairs, use of the bar, Banquet Hall lighting and PA equipment. Starting price €65pp. The family run Cloughjordan House in the heart of North Tipperary dates back to the early 1600’s. 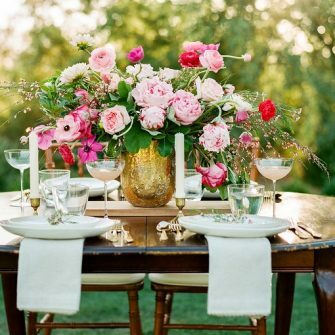 The house provides the perfect setting for a country-themed or farm wedding, and the reception meal is prepared using fresh organic produce sourced from the onsite farm. The 17th century ballroom features a large open fireplace, a romantic ceremony room, and the double doors from the ballroom lead out to a marquee. 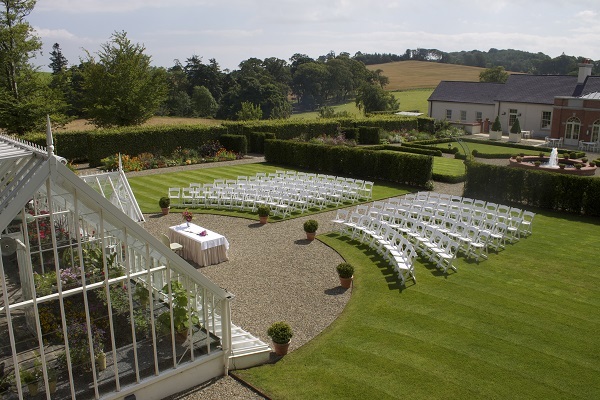 The wedding marquee overlooks the lawns and wooded area, and is suitable for up to 180 guests. Cloughjordan House prides itself on being a ‘party house’ and your guests can get involved in games of table tennis or croquet on the lawn, giant Jenga, or simply pull up a pew around the patio heaters which are basically old rusty wheelbarrows filled with burning logs. Accommodation options include the converted Milking Parlour which has three double ensuite bedrooms, and the former Cowshed that accommodates 34+ guests in quirky, comfortable rooms. Montalto is a privately owned estate in the Co. Down countryside. The Carriage Rooms is fully licensed for religious or civil ceremonies and civil partnerships. The inspiration for The Carriage Rooms came about when a family member used the old threshing mill on the estate as a rustic setting for their own wedding. Couples can marry in a unique space that is a Victorian former stable block and Carriage Rooms of the estate, or say ‘I do’ in the romantic setting of the Walled Garden – a fully functional glass house serves as a backdrop, while fruit trees line the ceremony area. Toast your nuptials in the unique setting of the banqueting hall with its exposed brick walls, huge windows, vaulted and beamed ceiling. 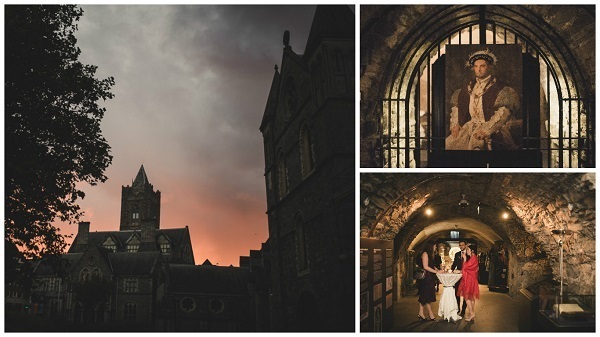 Celebrate your wedding in the oldest structure in Dublin; Christ Church Cathedral Crypt. Steeped in tradition and lit by candlelight, each wedding at the crypt is completely individual and styled to your personal taste. 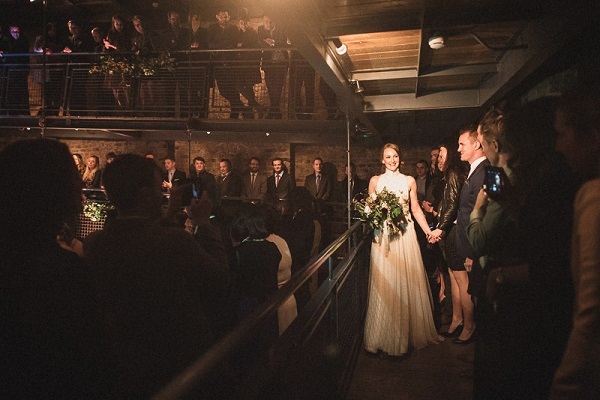 With its stone walls and 12th Century Medieval interior, the crypt offers an evening with a difference for those seeking a private, intimate and elegant wedding. It contains underfloor heating, air conditioning and can accommodate up to 120 comfortably for a formal seated event or less formal banquet style meal, and up to 200 for a standing reception. The price of hiring the crypt depends on the length of the reception and the time of year. Mulled wine by the fire in the Drawing Room, or Earl Gray Martinis on the lawn… allow the Ivory Pavilion mixologist to create something truly unique for your wedding guests. 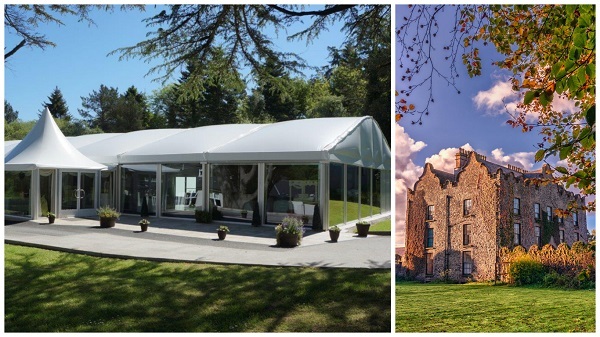 New wedding venue the Ivory Pavilion is located inside the walled garden of the Jacobean Galgorm castle. Couples can get married in the state-of-the-art Pavilion in the walled garden, or have an open air ceremony in the 17th century castle forecourt or in the garden grounds. The Ivory Pavilion’s catering partner Jane’s Kitchen offer tantalising alternatives to traditional wedding meals such as Mediterranean canapés, Irish Tapas or a sizzling barbeques. A tailored menu is created especially for you which enables couples to choose quirky additions that don’t normally feature on wedding menus. 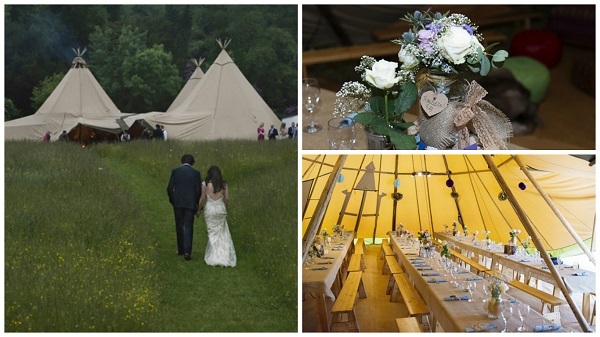 Get married in a tipi anywhere in Ireland with Magnakata Weddings. With the marquees, katas, tipis and tents, couples can use them as a single structure, or join them together indefinitely to create an amazing space to accommodate a wedding in excess of 300 seated guests. The katas are constructed using wooden poles and gorgeous light coloured canvas which creates a fabulous and charming space. Therefore, unlike the traditional white marquee, you do not need to go to the extra expense of lining the interior.